Since 1997, Data Integrity has supported numerous medical application and vendors. Our staff has the experience and knowledge to help you achieve your EMR, PM integrations and upgrades. As a healthcare practitioner you have much to deal with regarding governmental requirements and more. Data Integrity Services complete, un-biased and candid HIPAA Security Analysis is exactly what you need to quickly identify, mitigate and monitor risks threatening your data. Our process has been streamlined for maximum efficiencies rather than the number of paid consultant at your facility. As with all of our services, NO ROOKIES. 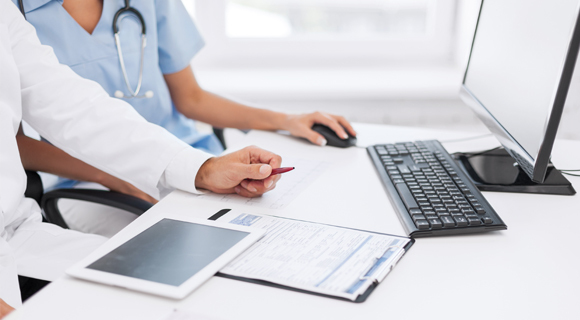 Our approach to IT assessments has been developed in over 25 years of providing exclusive IT consulting for numerous healthcare providers throughout central Florida. Over 50% of our clients are referral based. Data Integrity has developed a unique “Non-RFP” approach to selecting systems, which saves both time and money by avoiding the traditional “Request For Prevarication” (RFP) feature checklist. Instead, our approach starts by defining each user department’s “Top 10” application needs, including current functionality they do not want to lose and adding new features gleaned from demos by leading HIS vendors. Our team of engineers have successfully implemented numerous applications. Data Integrity can assist you with asking the tough questions on terms and conditions with business implications such as defining “then-current” rates in advance, system response times, installer right of refusal and non-performance penalties and remedies. HIPAA and other regulatory compliance issues are stressed strongly, based on terms we have successfully negotiated in the past with each vendor. Technology requirements are carefully reviewed with an eye to the future. Data Integrity Services has been assisting healthcare providers for over 25 years with implementing new systems to insure that the goals set out in obtaining them are actually met. Our experience ranges from working with traditional financial and clinical applications to meeting E.H.R. Meaningful Use requirements. We’re available to answer any questions you may have.